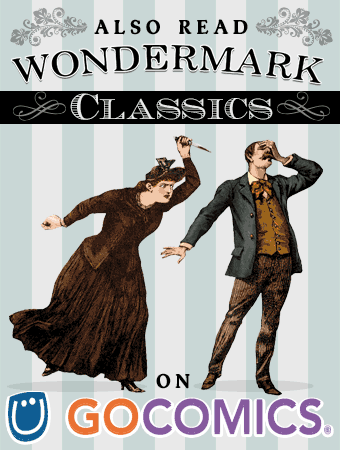 Wondermark » Archive » Sweet new posters! And STOP FIIIIGHTIIIING over my new shirt! Sweet new posters! 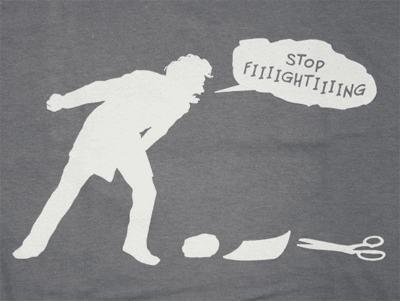 And STOP FIIIIGHTIIIING over my new shirt! You may remember this piece I made for Brandon Bird’s Law & Order-themed gallery show earlier this year! 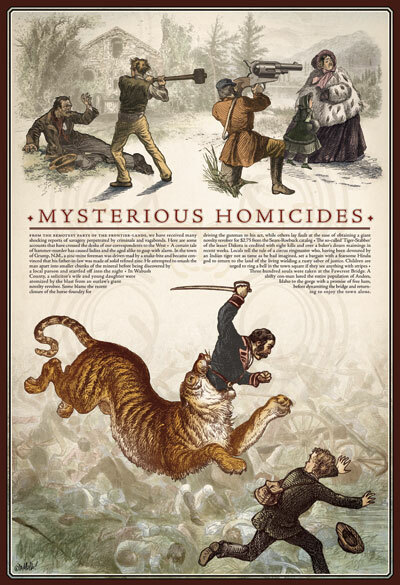 It features an incredibly historically-accurate account of curious and suspicious murders. It has been newly colored by the kind and fruitful Marcus Thiele (whom you may also recognize from his wonderful illustration in Machine of Death), and I have made it into a brand-new poster! I think it looks great on any wall and hopefully you will too. Just choose “The Matter of the Envelopes” from the drop-down menu here. 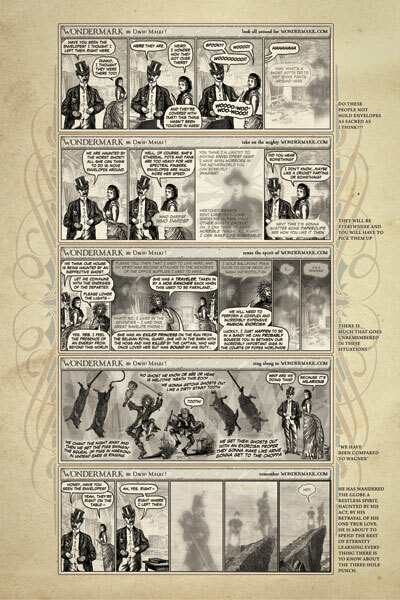 Now, each individual episode is already available as a single print, like any other Wondermark comic, but since Comics #670-674 were a single story arc I thought it’d be neat to combine them into a large poster as well. 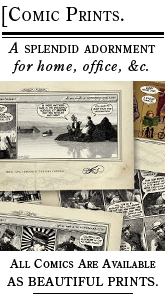 Over at the Poster Shoppe I offer large-format versions of all the larger comics, plus #463, the Back to the Future parody. And a new T-shirt as well! Based on what may be the most popular comic I’ve ever done — certainly in the top ten. Hooray! These are the only new TopatoCo products I’ll be releasing this holiday season so there’s no need to wait; please commence gift-buying for all your cleverest friends and relatives. 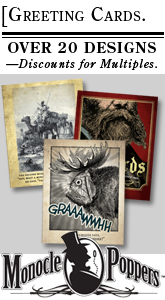 TopatoCo has posted holiday ordering deadlines as well. I say it often, but it bears repeating: thank you so much for your kind patronage year-round. It allows me to spend all my time making fun and interesting things for you, and I love every second of it. You are the best! A note about the calendars! I’ve been posting some work-in-progress shots on my Tumblr, and I expect to be posting a bunch more over there next week as we gear up for actual physical production. Since I announced the pre-order on Tuesday, we have sold an amazing 117 units — meaning there are only 58 left! 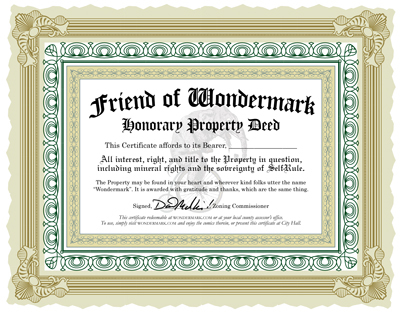 At this rate, not everyone who wants one will be able to get one, so don’t delay. Order yours now. This entry was posted on Thursday, December 2nd, 2010 at 11:59 pm and is filed under Blog. You can follow any responses to this entry through the RSS 2.0 feed. Both comments and pings are currently closed. 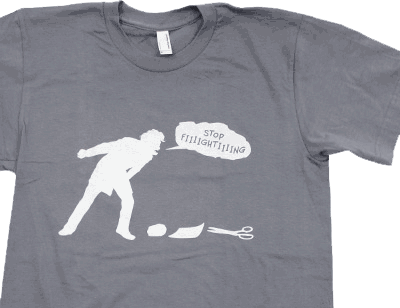 You’ve answered my christmas wish with the new t-shirt – thanks! But, what about rock, paper, scissors, lizzard, Spock?